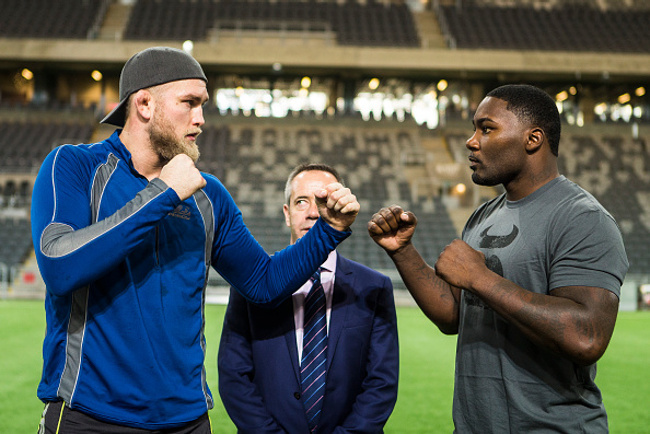 Anthony “Rumble” Johnson is in Sweden, far from his hometown of Dublin, Georgia, freezing, cutting weight, and marveling at all of the skinny people around town. He’s there doing media work with Alexander Gustaffson ahead of their January 24 light heavyweight contender bout, and I had the chance to talk to him over the phone for a few minutes. Rumble is well known for being huge. He walks around somewhere around 220, while trying—and failing—to make weight in the welterweight division. Johnson came in very heavy twice, and then lost to Vitor Belfort via submission before getting cut by the UFC in 2012. What I wanted to know was not why he missed weight, but how in the hell did he make weight all of the other times he competed at that level? Johnson has had more than just weight cut troubles. In September of last year, he was suspended by the UFC again after the mother of two of his children filed a police report stating that Johnson had assaulted her in 2012, knocking out two of her teeth, and that he and his friends were still threatening her. The complaint was dismissed two months later by a Florida judge. Johnson has maintained the allegations were lies, and that at this point, the matter is behind him. Now it’s about his toughest fight yet, against the top contender for Jones’ belt. Johnson looked fluid and menacing in his win over Phil Davis, stalking his opponent throughout the fight, and displaying pinpoint striking and relaxed movement. In his last fight, there wasn’t much movement going on, just power blows to Big Nog’s head that resulted in a stoppage in the first round. Johnson has the power and technique to dominate fighters he can touch, but can he get in and touch Gus? When I spoke to Johnson on the phone, he sounded like a country boy far from home, marveling at the small portions people serve in Sweden and the lack of fat people. Back in Dublin, Georgia, the portions are huge, and his grandmother heads an extended family that features quite a few athletic people. There’s something in the water over at Dublin, because the Johnson family is, as of now, not the most famous Dubliner when it comes to athletes. If Rumble can pull off the upset in Stockholm come January, then a whole lot of people will recognize him, from Dublin, Georgia all the way to the town’s namesake and beyond. It’s a big chance for a man who was cut, had to wade through regional circuits, and then fight his way through bangers like Arlovski and a physical phenom like Phil Davis for this chance. 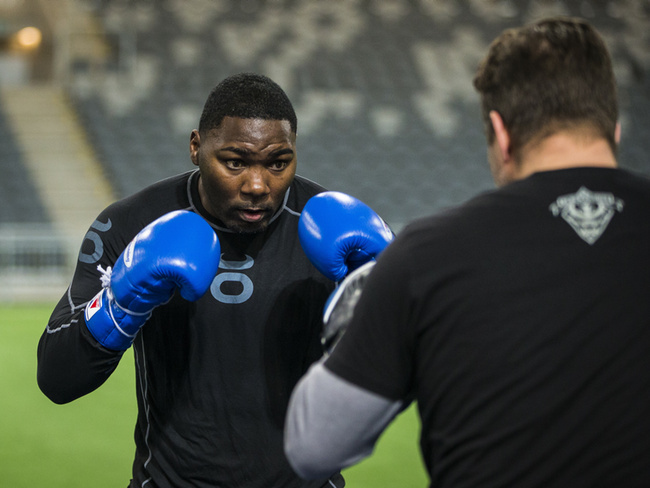 Rumble has everything to gain in this upcoming fight, and really not too much to lose.